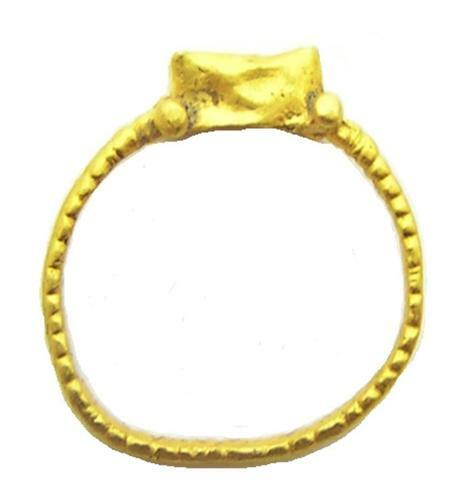 This is an ancient Roman gold finger ring, dating to the 4th - 5th century A.D. The ring is in excavated condition, missing the original gemstone. It is made with a beaded wire shank, typical or Migration period jewelry. The size is small, so likely intended for a child to wear.